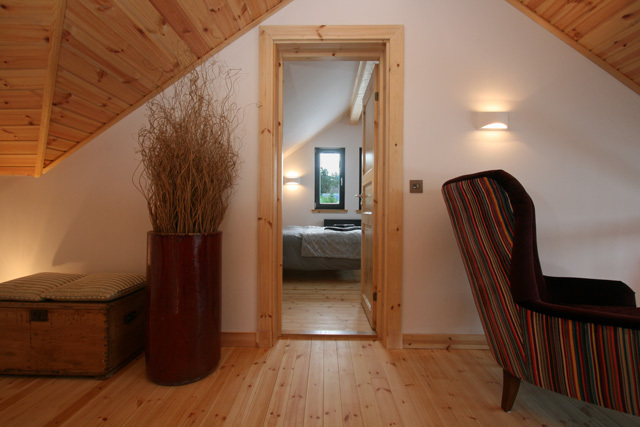 Log Ness is situated in the village of Foyers on the quiet and unspoilt south side of Loch Ness. 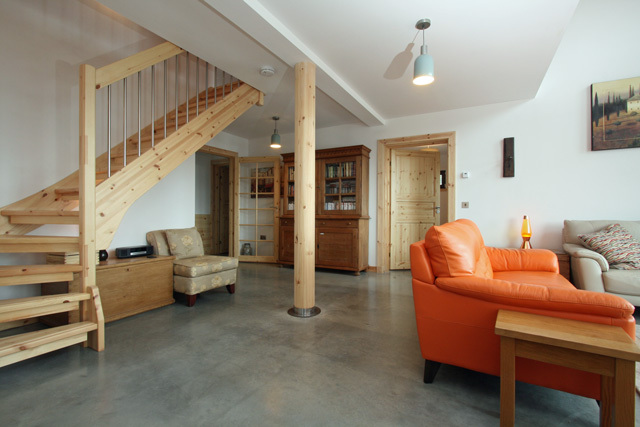 Newly completed, this stunning contemporary property was designed by Artichouse in Finland and utilises the latest technology and ecological production methods. 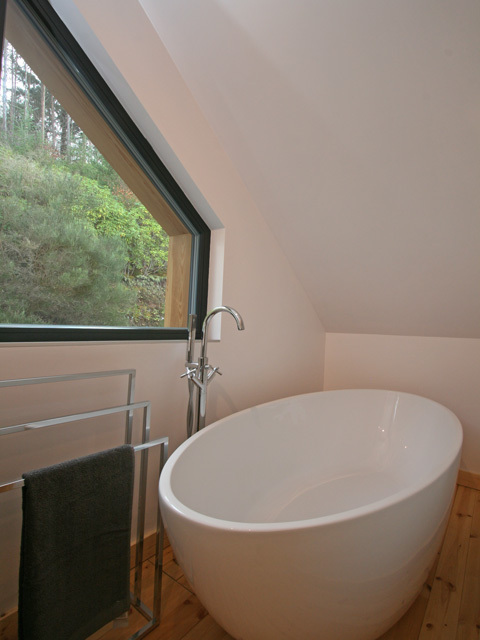 It sits in an elevated position and enjoys spectacular views towards Lower Foyers and over Loch Ness. 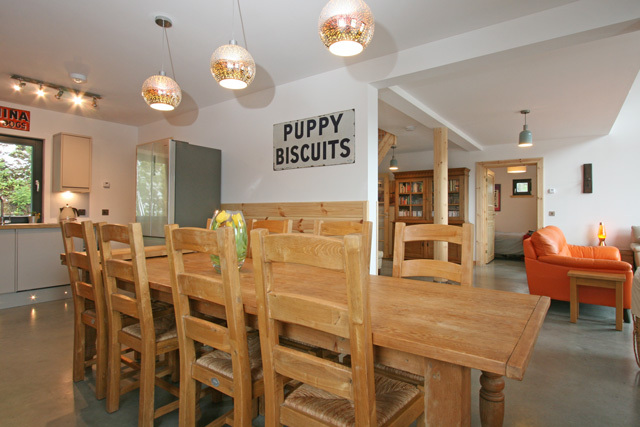 The property is beautifully presented with an eclectic mix of stylish furniture and is equipped and furnished to a high standard, the large double height vaulted ceiling with its balcony above being particularly striking. 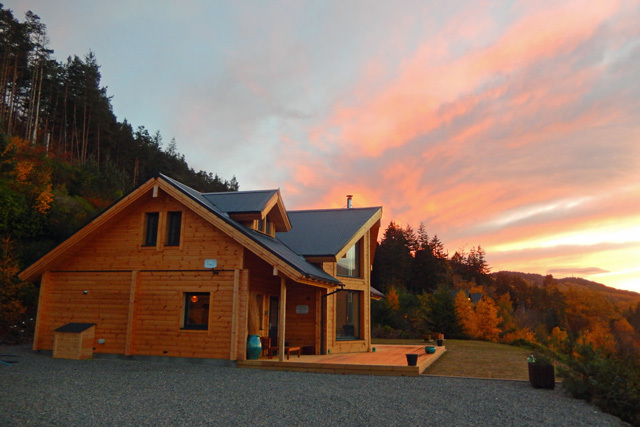 The location would make an ideal base for touring the Highlands of Scotland including the Northern Highlands, the Loch Ness region, the West Coast and the Isle of Skye. 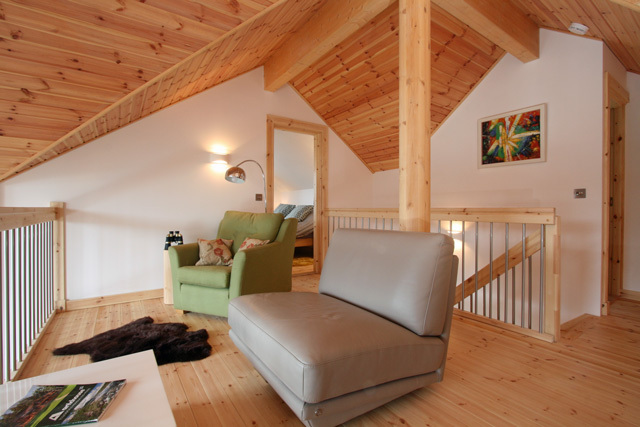 Set in a tranquil location the property is rural without being isolated and just a short distance to local amenities. 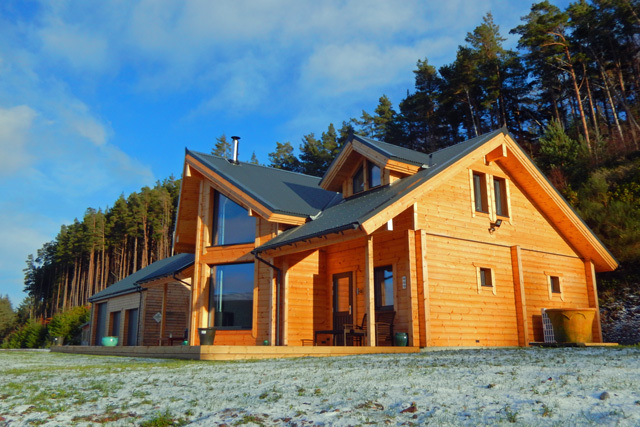 On the ground floor the property has an open plan layout with a beautiful double height vaulted ceiling with a balcony above, floor to ceiling windows with views towards Loch Ness and Lower Foyers and striking contemporary flooring. The sitting room has leather sofas, Smart TV, Bose CD/radio and an iPod dock. 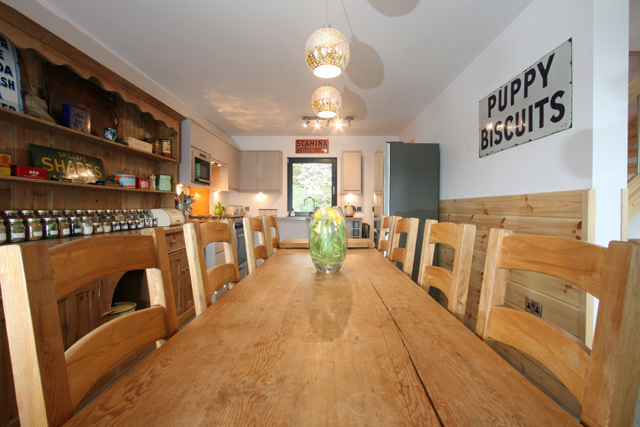 The kitchen has all the usual appliances including a small contemporary range cooker, a microwave, a large American style fridge/freezer and a beautiful oak dining table. An eye catching display of spices is available on the dresser for guests to use. 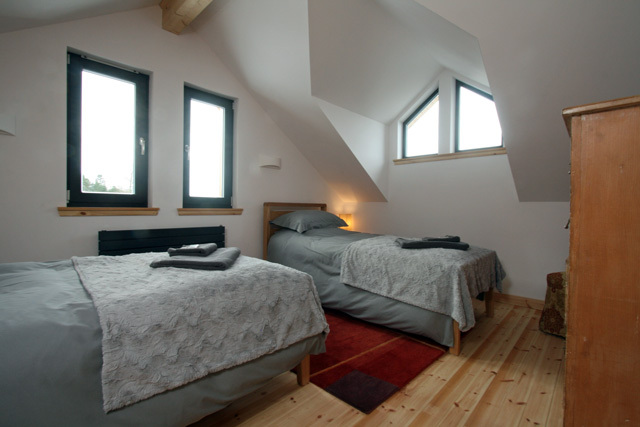 Further accommodation on the ground floor includes a double bedroom, which offers direct access to the decked area to the front with its seating, a spacious shower/utility room with a large walk in shower, wc, double Belfast style sink, washing machine & tumble dryer and a rear hall where boots, shoes and coats can be stored. 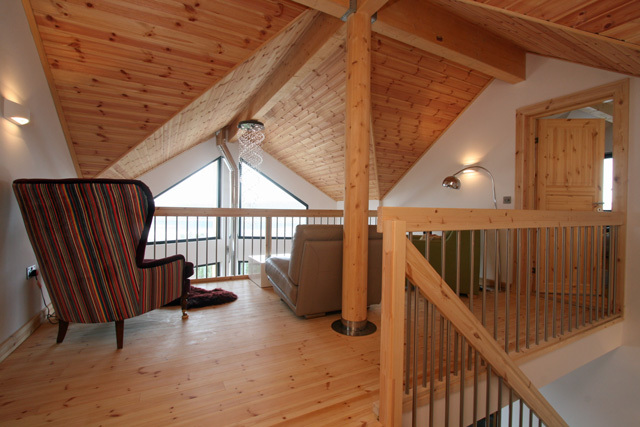 Upstairs the balcony area has comfortable seating and is an ideal place to relax after a day exploring and to enjoy the views from the feature windows to the loch and the mountains in the distance. 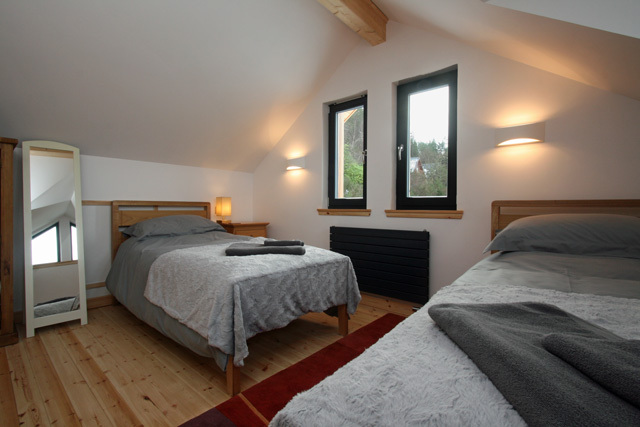 A further two bedrooms are on this level, a master with a king size bed and the other a twin, both bedrooms are tastefully furnished and enjoy loch views. 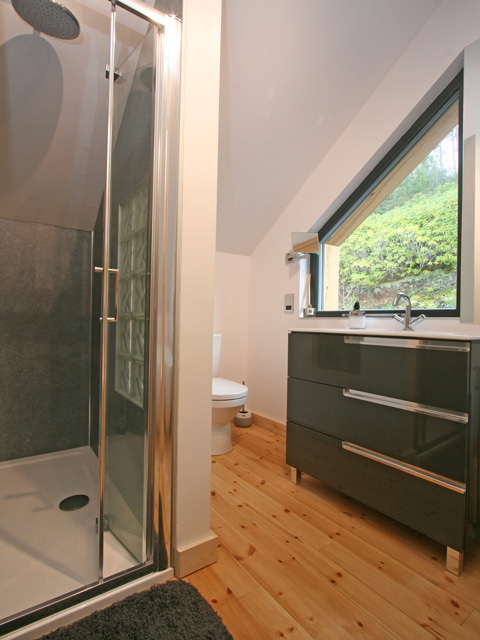 Completing the facilities is a bathroom with a separate shower, wc, whb and a beautiful standalone bath. The property is approached by a private drive with ample parking for many cars. The garden is spacious and offers various places to sit and relax, including the large decked terrace and garden furniture is provided. However guests with children should be aware that the garden does have a steep drop to the front. 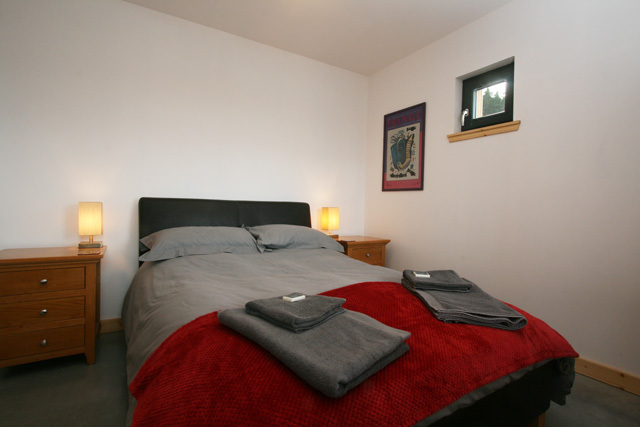 Within walking distance of Foyers with all its amenities, Falls of Foyers, shop and Post Office, Waterfall cafe, Cameron’s Tea room and the Craigdarroch Inn. For walkers the area has a number of walks including the South Loch Ness Trail and the Farigaig Forrest, it’s also an easy walk down to the shores of Loch Ness. 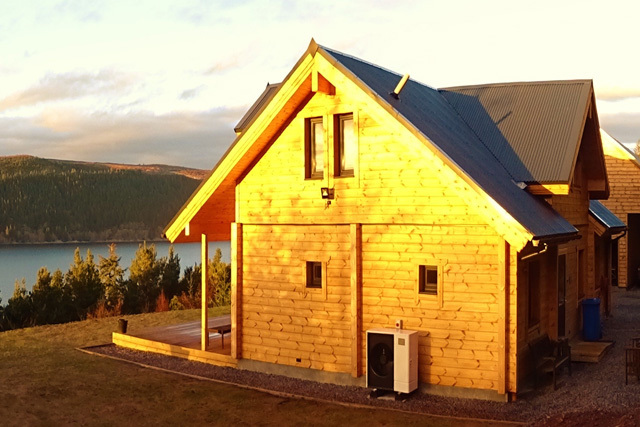 In high season the local caravan site offers kayak and motorboat hire (with fishing permit) and loch cruises are available from Foyers Pier. 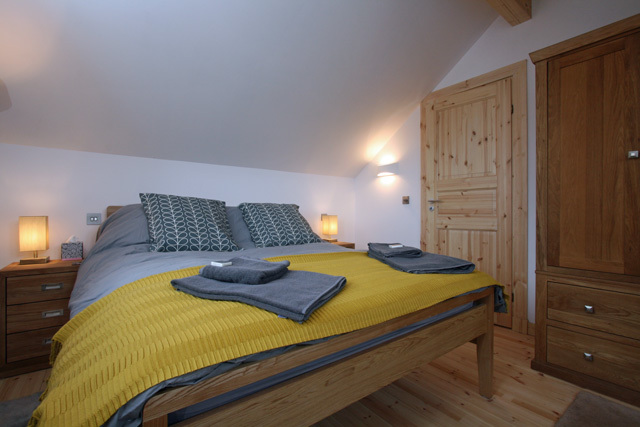 Further afield The Whitebridge Hotel (5 miles) is a short drive from the house and serves excellent food, as does the Dores Inn (11 miles) which is located on the banks of Loch Ness. Inverness (20 miles) has plenty of supermarkets, varied shops, theatre, swimming pool and many other visitor attractions. Fort Augustus (15 miles) in the opposite direction, a charming village centred on the locks of the Caledonian Canal, with a good choice of eating places and interesting heritage centres and shops. There’s plenty of scope here for restful relaxation, watching the river craft plying their way through the locks of the Caledonian Canal. 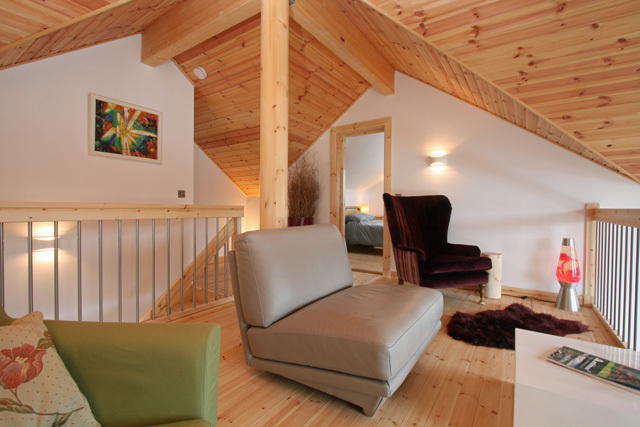 Due to various factors relating to safety at this property, children under ten years of age are not allowed however babies are welcome. At the time of booking please insert the ages of your children in the comments box on the booking form. 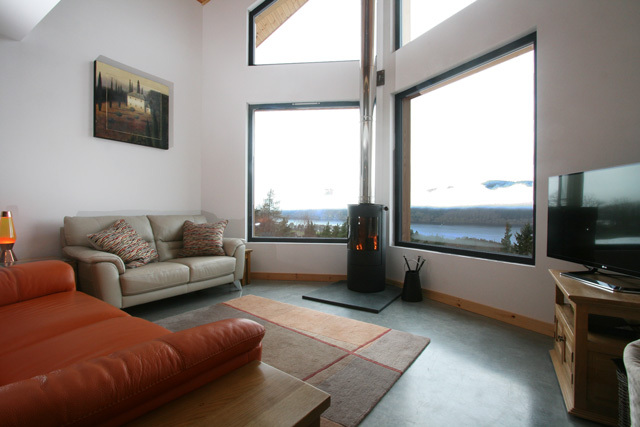 Spacious open plan living area incorporating the sitting room, dining area and kitchen, beautiful double height vaulted ceiling with balcony above, large feature windows with views over the garden and down towards Loch Ness and Foyers, direct access to the exterior decked area from the kitchen. 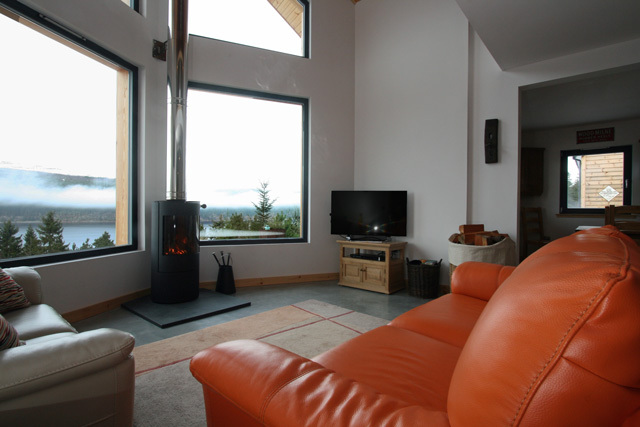 Sitting room with comfortable leather sofas, wood burner, Smart TV, DVD, CD player, radio, iPod dock. 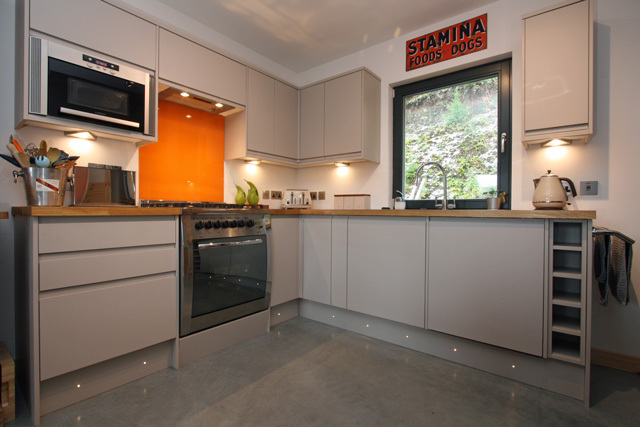 Kitchen, small contemporary range style cooker with oven, grill and gas hob, microwave, American style fridge/freezer, dishwasher and all the usual cooking equipment. 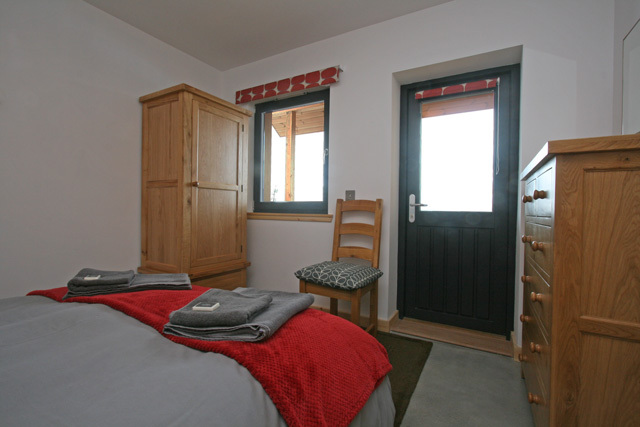 Double bedroom with direct access to the exterior decked area. 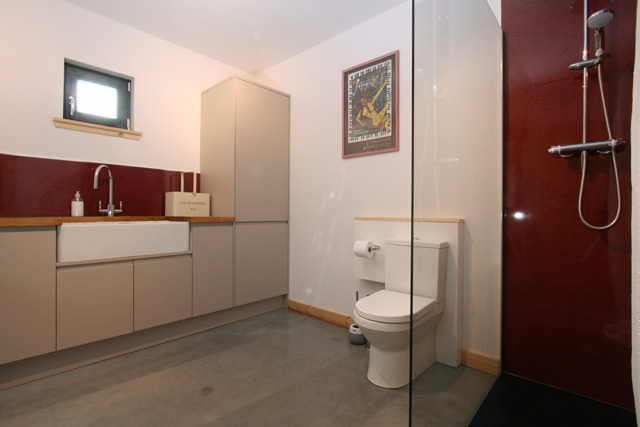 Shower/utility room, large walk in shower, wc, double belfast style sink, washing machine, spin dryer, tumble dryer. Hall with storage for boots, coats, etc. Balcony area with seating, large feature windows with views. 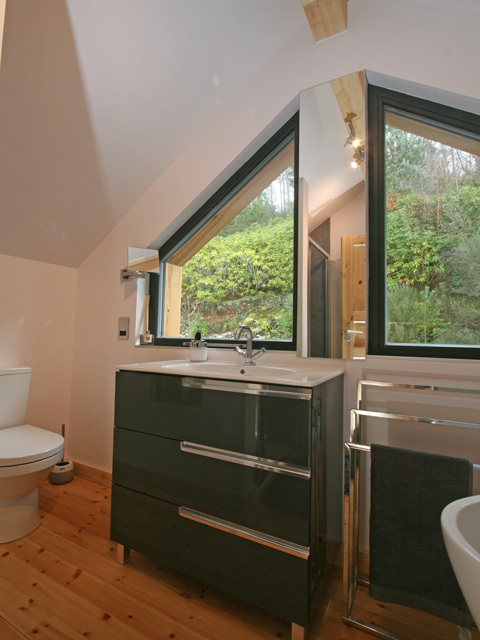 Bathroom with separate shower, standalone feature bath, wc, whb, heated towel rail. 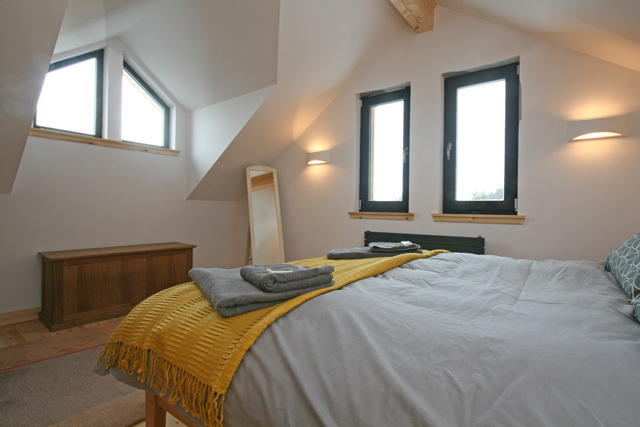 Electricity and heating costs, under floor heating to ground floor, radiators on upper level. Initial supply of wood etc for the wood burner, including kindling, logs, firelighters. Basic kitchen condiments including spices, tea, coffee, etc. Travel cot and high chair; please note no bed linen is supplied for the cot. 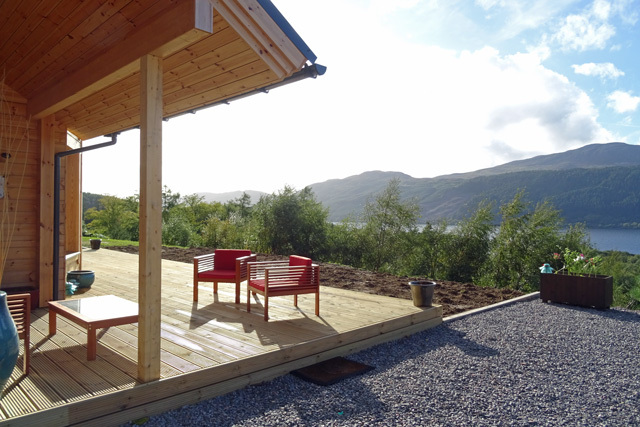 Large decked area with garden furniture & barbecue. The property is not available to rent for hen or stag parties. Two well behaved pets are allowed at the property, please note all pets must be kept off the furniture and out of the bedrooms. A Good Housekeeping Deposit of £300.00 is required at the property. 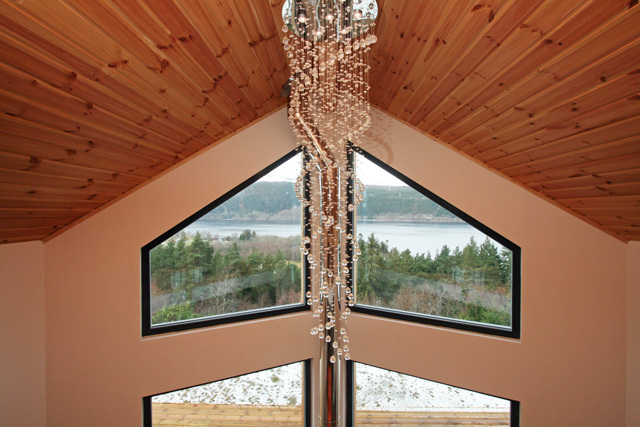 Spectacular property with village amenities a short distance away. 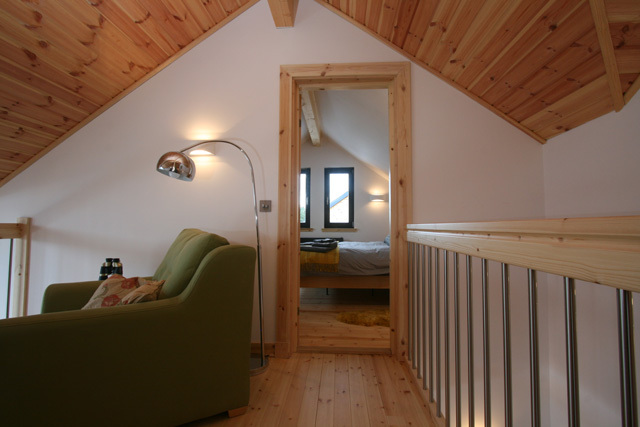 An ideal base for a Wilderness Cottage holiday, with the west coast, the Isle of Skye, the Northern Highlands and Fort William & Lochaber all within a few hours’ drive. 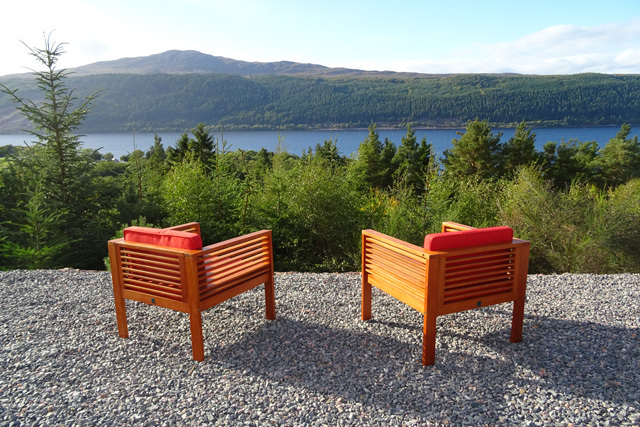 Quiet location with beautiful views over Loch Ness.